I was born and raised in St. Louis, Missouri. Sadly, when you’ve lived somewhere for years and years (and years), it’s sometimes difficult to view your city as a tourist in order to avoid the “There’s nothing to do here!” vibe. I’m happy to say that my interest in St. Louis was recharged about five years ago after we welcomed our daughter Meredith into the family. Seriously? This town is simply bubbling with events and attractions for kids of any age. Here are some of the things we love to do. 1. Pick up a sandwich from Amighetti’s on the Hill (they have a great kids menu, too! 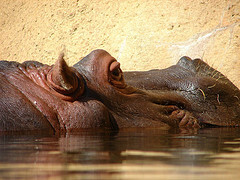 ), enjoy a picnic lunch in Forest Park, and spend the afternoon at the St. Louis Zoo! Admission is free! 2. Travel back to the good old days and enjoy a chocolate phosphate and a chili dog from Crown Candy. 3. 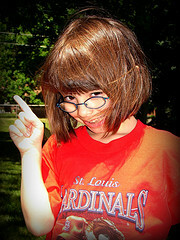 Check out an Omnimax show at the St. Louis Science Center. While you’re there, take a few hours to explore the special exhibits–including the space show at the Planetarium! 4. Let your imagination go wild at the City Museum. The shorties will especially love the recently expanded Toddler Town, and because the museum is open until one in the morning on weekends, the adults can come back in the evening and play big people style. 5. Get out on a rainy day and explore the St. Louis Art Museum. 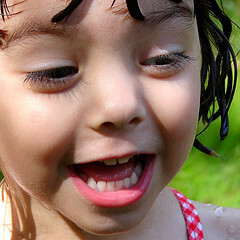 Many family programs are offered during the spring and summer months! 9. Grab your eye patches and parrots and head out to the St. Louis Pirate Festival! There are merchants aplenty and lots of swashbuckling! 10. If my grandma was still with us, she would to tell you to pack up the kids and head to Hodak’s for lunch. I think you’ll agree that they serve the best chicken in St. Louis, and have been doing so for nearly 50 years. 11. Take a tram ride through Grant’s Farm, where you’ll see free roaming bison, antelope, and zebra! While there, be sure to visit the Budweiser Clydesdale Stables, where up to 15 foals are born each year. 12. If you’re itching for a theme park, Six Flags is surprisingly clean! If it’s particularly hot, you might want to walk over to Hurricane Harbor and enjoy one of the country’s largest wave pools. 13. If, like me, you’re in love with the smell of old books, you need to make the trip to the Greater St. Louis Book Fair. Located in the West County Mall parking lot, the fair opens for four days in the spring. During that time, over a million books, CDs, and DVDs are available, and the funds raised provide services to promote education and literacy in the St. Louis Metropolitan area. 14. Take some time to study the St. Louis Walk of Fame while you’re strolling around the University City Loop. 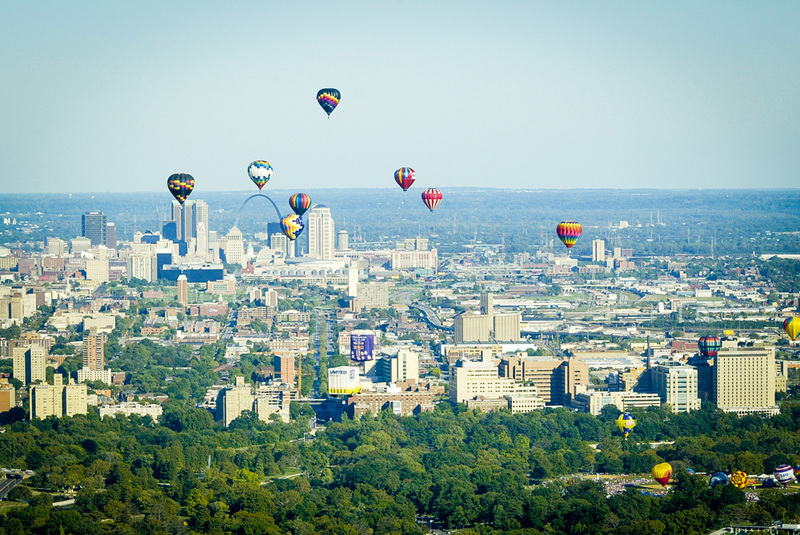 You’ll be surprised at how many amazing men and women have called St. Louis their home! 15. For an especially unique tour of the city, grab your bike at midnight and join in on the Moonlight Ramble. If your kids aren’t up for the twenty mile tour, a ten mile tour is available! 16. Learn all about the history of St. Louis at the Missouri History Museum. Be sure to check the schedule during the spring and summer months to see which local bands are performing (for free!) during the museum’s Twilight Tuesdays concert series! 17. 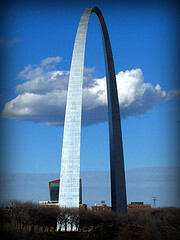 Head on down to the riverfront and travel to the top of the Gateway Arch! Helicopter rides are available for those who want an even more elevated view of the city. 18. Learn a bit about The Poet of Childhood at the Eugene Field House and St. Louis Toy Museum. 19. 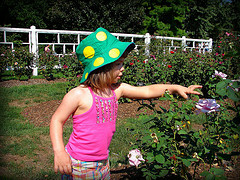 Explore four floors of hands-on activities at The Magic House St. Louis Children’s Museum. Be sure to take a ride on the three story slide! 20. See a show at the Fox Theater. If the show schedule doesn’t interest you, take a tour of the building! 21. Explore the marketplace at St. Louis Union Station. While you’re there, enjoy the entertainment at The Fudgery and ride a paddle boat around the lake! 23. Bundle up, head downtown, and enjoy the St. Louis Thanksgiving Day Parade. 24. The Missouri Botanical Garden is a beautiful place to visit. Be sure to pack a picnic basket during the summer and attend one of their free Wednesday night concerts. 25. Are you looking for something safe to do with your family on New Years Eve? Plan on attending First Night Saint Louis–the visual and performing art festival that has been helping families ring in the new year since 1992! 28. You know you’ve always wanted to go to a Renn Faire. Why not attend the Greater St. Louis Renaissance Faire? It gets bigger and better every year. The merchant list alone is very impressive! 30. 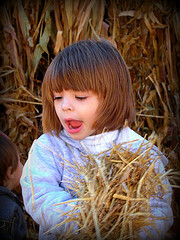 Check out Purina Farms, where visitors can milk a cow, watch a canine competition, or play in a hay loft! 31. St. Louis is proud to have its own one-ring European circus! Circus Flora made St. Louis its home in 1987, and the big top shows take place in June. 32. The St. Louis Jazz and Heritage Festival is one of my family’s favorite events. Good food, great music, and a musical petting zoo for the kids. Who could ask for anything more? 33. Are you in the mood for some exploration? You can pan for gold, dig for fossils, or take a riverboat ride while visiting Meramec Caverns. 34. The Wolf Sanctuary is an amazing place dedicated to the preservation of rare and endangered wolves. Be sure to call ahead to take the 1/2 mile walking tour, as the sanctuary closes during the breeding season. 37. Along with their spectacular concert program, the St. Louis Symphony Orchestra offers several casual Family Concerts throughout the year, free community events, and amazing holiday concerts. There’s something for everyone at the symphony! 38. Enjoy the music, dancing, and presentations at the St. Louis Earth Day Festival. 39. If you find yourself in St. Louis on Independence Day, you need to spend some time at Fair St. Louis! So much food! So much music! An incredible fireworks display at the Gateway Arch! 40. Eat yourself silly at the International Horseradish Festival. The kids will enjoy the games, and you might enjoy participating in the Bloody Mary contest! 42. 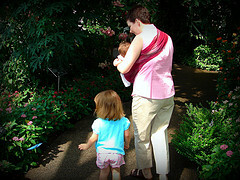 If a quiet stroll is what you need, the Butterfly House is perfect. The 8,000 square foot Conservatory Garden was designed to ensure a natural and safe habitat for nearly 60 species of butterfly! 43. During the summer months, be sure to scope out one of the many Frontyard Features. Free family-oriented movies under the stars! Perfect! 44. Although I’m not a big sports fan, I’ve always loved attending a St. Louis Blues hockey game. Rowdy crowd, arena food, and ice fights! 45. The St. Louis Shakespeare Festival provides professional and free Shakespeare performances outdoors! 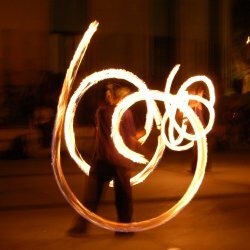 If you arrive early to the show, you’ll be entertained by fire eating clowns, jugglers, and various other strolling performers. 46. Visit an ancient Indian civilization at Cahokia Mounds! Public tours are available in June, July, and August. 47. There’s nothing quite like a good tailgate party before a St. Louis Rams game! 48. The Museum of Transportation showcases steam, diesel, and electric locomotives, as well as automobiles, streetcars, and aircraft. Their Creation Station is a big hit with kids ages five and under. 49. 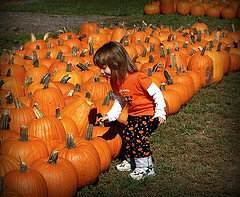 Pick peaches, strawberries, blackberries, apples, or pumpkins at one of Eckert’s Country Farms. You can even cut your own Christmas tree at Eckert’s during the holiday season! 50. Explore St. Louis by riding a riverboat on the Mississippi River! The Tom Sawyer and Becky Thatcher Riverboats offer many different types of cruises, including a sightseeing cruise your entire family will enjoy! Washington Avenue is alive with the sound of music every Friday night for the next 52 weeks at various Washington Avenue restaurants. Participating restaurants include: Tigin, Pi, Robust, Takaya, Over/Under, Prime 1000, Dubliner, Stanley’s, Copia, Flamingo Bowl, Bobby’s Place, Hair of the Dog, Blondie’s, Lucas Park Grill, Rosalita’s, Flannery’s, Wash Ave Post, Hiro Asian Kitchen, Sen Thai and many more. Restaurants will also be offering drink and dinner specials in addition to the live music. All genres of music will be represented each Friday night from pop to jazz to country to rock. There will be something for everyone to enjoy. DON’T LET POST-HOLIDAY BILLS AND BONE-CHILLING TEMPS TURN DATE NIGHT INTO A BORE. TRY ONE OF THESE WALLET- AND WEATHER-FRIENDLY IDEAS THIS WEEKEND! If you’re going to stay in on Saturday night, do it right. Open a bottle of wine, and whip up a warm, hearty meal together. Need some ideas? Check out our collections of recipes for just about everything, including plenty of comfort food. Get your blood pumping by squishing together on a sled designed for someone half your size and zooming down a hill. Bonus points if you can manage to crash into your neighbor’s snowman. Remember the good old days of gliding around the rink, holding hands with your crush? No? Well, then it’s time to experience it! Head to your local skating rink (and do your best not to fall). Some relationship experts say that fun is one of the best aphrodisiacs (not to mention that rubbing each other’s sore butts afterward could be kinda hot). For a nice break from the old dinner-and-a-movie winter standby, head to the theater to check out a play. If you live in a major city, you can look for discounted tickets at LastMinute.com or TheaterMania.com. If you don’t mind taking your chances and waiting a bit, many theaters sell seriously reduced tickets for empty seats on the day of the show. Or, forget Broadway (or the overpriced equivalent) altogether and support your local community theater. You might be surprised by how good it actually is. Make a standard movie night a little more interesting by adding a theme to the mix: favorite movie couple, favorite movie that’s so bad it’s good, scariest flicks ever made…you get the idea. Each of you picks your top contender, and then you can flip for whose flick goes first. Bonus: You might learn something new (good or bad!) about your partner. A little competition can be a big turn-on. The good news is you don’t even have to leave your warm and cozy home: Hook up the Wii (or PlayStation) and challenge your partner to a game of Rock Band, Grand Slam Tennis or Flight Control. Grab a controller and go at it. (Hey, we’re talking about the game here — dirty mind!) Loser has to warm up the car in the morning — for a week! Learn a bit more about each other by playing the songs you loved throughout your life. Take turns sharing stories about what memories they bring up — like the eighth grade dance or your first concert. You’ll learn more about each other and revisit some favorite (or perhaps some “What was I thinking?”) tunes.